When installing mudflap kits on your truck or trailer, purchase your stainless flap weights at Zimm-o-matic. 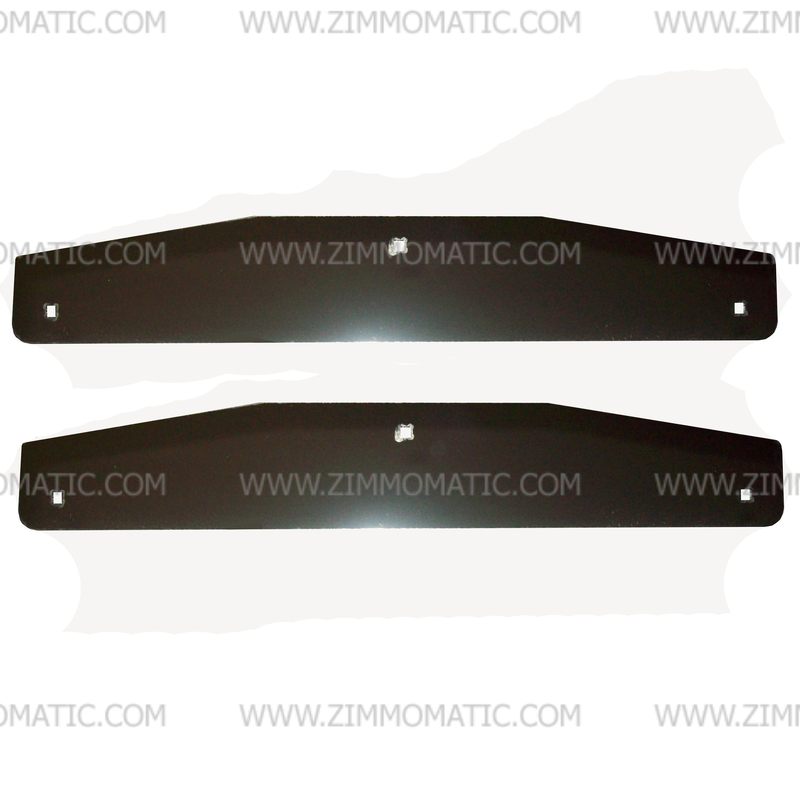 We sell the flap weights as a pair, with mounting hardware included. The 3 bolt mounting pattern follows the shape of the weight itself, adding to the look. Combine a head-turning “extra” with a functional flap weight to make the perfect purchase for your mudflap kits. This item is prepackaged for retail. The stainless steel mudflap weight is the perfect touch to finish out the flaps on your truck or trailer. 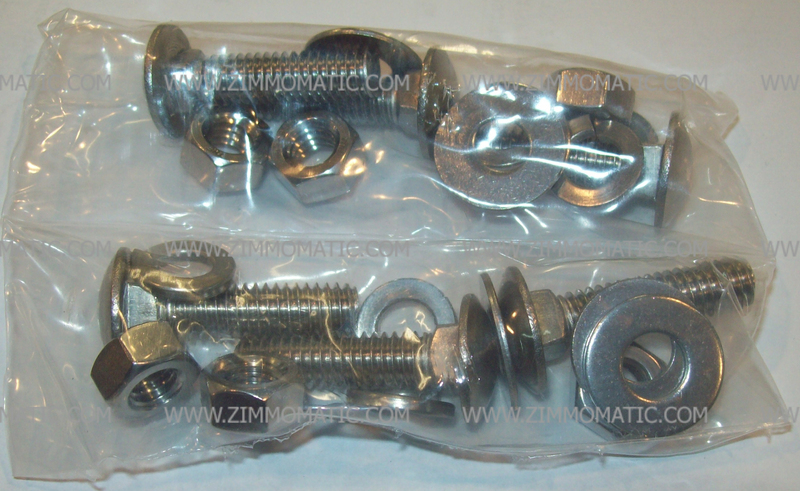 The total package you buy includes a pair of weights with stainless fasteners for each, ready for install. The stainless steel flap weight measures 24 inches across and 4 inches tall. 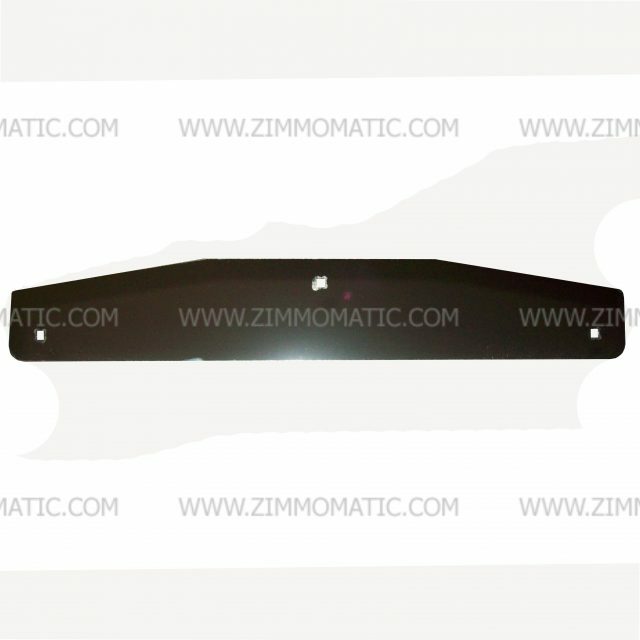 At Zimm-o-matic, we use the stainless flap weight on the outside of the flap and a steel mudflap backer plate, ZFSBP24, on the inside to keep the flap from blowing back while you are on the road. 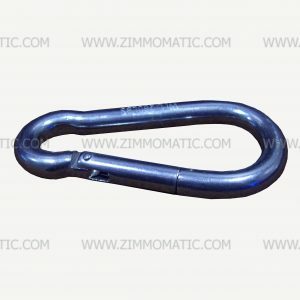 The steel backer comes with a ring on the inside to hook up your flap while backing around.